My interest in skincare began at an early age when I started getting acne at the age of 12. No matter what I did it just seemed to get worse, eventually turning into cystic acne by the age of 13. Many people suffer from this disease and you can only imagine how it makes them feel about themselves, especially in the emotional teenage years. I eventually went on Accutane at the age of 21. This alone has its own problems, but I was determined to get rid of my acne. Unfortunately Accutane is not a cure, and I had to go on it again in my later 20s. I often wondered if it would ever be possible to have nice skin and feel good about myself — but I now know it is possible! 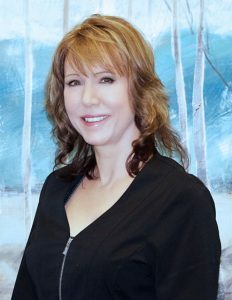 Now I’m a dedicated and experienced medical professional, passionate about skin care and devoted to providing the most effective and advanced techniques to help my clients achieve their goals. I set very high standards and insist on providing excellent quality of service and customer care — exemplified by the large number of clients returning to my studio. In 2009, I decided I would like to return to the cosmetic industry and specialize in skin care and cosmetic lasers. I attended the Rocky Mountain Laser College, in Denver Colorado, where I received my certification as a Laser Specialist. I had the opportunity to work with a number of brand name lasers and skin care products before opening my own business March 1st, 2010.